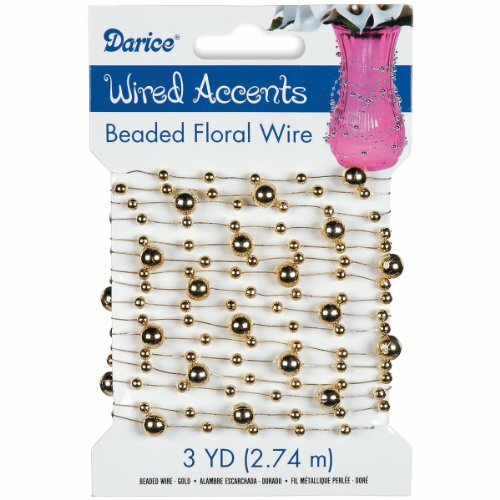 DARICE-Wired Accents: Beaded Wire Garland. This beautiful beaded wire garland will instantly add a touch of elegance and glamour to any setting. It can easily be cut into shorter lengths as needed, or use the entire length at once for a stunning effect on wedding decorations and at other special occasions. The lightweight beads have a shiny finish and are permanently fixed approximately 1/2 inch apart along the wire filament. Each package contains one 3-yard length of beaded wire. Available in a variety of colors (each sold separately). Imported.